Dr. Michael Polcino (North Babylon) - Book Appointment Online! Dr. Michael Polcino specializes in caring for Obstetrical and Gynecological needs of women in a lovely home-like setting. 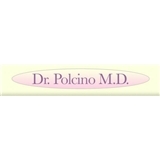 Dr. Polcino has provided comprehensive care for women in Suffolk and Nassau County for 30 years. Our staff prides themselves on the personal attention and care given to each patient. Amazing staff, cleanliness of the office is amazing!